1.1 The content of this Agreement includes the main text and various rules which have been or may be published in future by ALLPCB.com. All such rules are an integral part of this Agreement, and all have the same legal effect as the main text. 1.2 Your login to the ALLPCB.com website by whatever means and your use of the Services indicates that you have fully read, understood and agreed to accept the terms and conditions of this Agreement (collectively the “Terms”). 1.3 ALLPCB has the right to amend any Terms in accordance with its business needs and will not further notice you separately. The amended and restated Terms shall take effect upon its publication at the ALLPCB.com website. If you disagree with such amendment, please terminate your use of the Services immediately. Otherwise, it will be deemed that you have accepted the revised and restated Terms. In the event of dispute arising between you and ALLPCB, the latest Terms shall prevail. When you complete the registration process or otherwise use the Services by other means permitted by ALLPCB, you are a person who has full legal capacity and the capacity for civil conducts you purport to undertake. If you do not possess the foregoing capacity, please do not use the Services; otherwise, you shall bear all consequences and ALLPCB shall have the right to close or permanently freeze your account and claim against you. 2.2.1 After you fill in the information in accordance with the instructions on the registration page, read and accept this Agreement and complete all the registration procedures, or when you otherwise use the Services of the ALLPCB.com website in methods permitted by ALLPCB, you become bound by this Agreement. 2.2.2 You understand and agree that once you complete the registration procedures of this website and the registration is successful, you can log in via the e-mail address you have provided to ALLPCB.com website and other websites / services which may be subsequently activated, without separate registration. 2.2.3 You may set up a user name for your account, but it does not infringe or is likely to infringe the lawful rights of others. Otherwise, ALLPCB may terminate the Services provided to you and close your account. After the cancellation of your account, the relevant user name will be released to other eligible users for registration and use. 2.2.4 After completing the procedures for registration, you must correctly provide and update your information following the instructions on the corresponding WebPages of this website in accordance with the laws and regulations so as to ensure the information provided is true, up-to-date, complete and accurate. If there are reasonable grounds to doubt that the information you have provided is incorrect, false, outdated or incomplete, ALLPCB has the right to send you an inquiry and/or a notice requesting correction and to directly delete any corresponding information until the suspension or termination of the Services (in whole or in part) provided to you without any liability, and you are solely liable for any and all resulting direct and indirect losses and adverse consequences. You are solely responsible for the confidentiality of your Email, user name and password, and all activities that occur under your email (including but not limited to, disclosure or release of information, clicking “agree” or “submit” to accept any rules or agreements online, renewing agreements or purchasing services online, etc.). You agree: (a) to immediately inform and authorize ALLPCB to deal with such information in the event you discover any unauthorized use of your Email, user name and password or any other situation that constitutes a breach of the confidentiality provisions between you and ALLPCB; and (b) to correctly exit / log-out of the website at the end of each online operation session. ALLPCB cannot and will not be responsible for any losses or damages incurred as a result of your failure to comply with this provision. You understand that it requires a reasonable period of time for ALLPCB to take action in response to your request, and that ALLPCB will not be liable in any way for the consequences that have occurred before it takes such action (including but not limited to any of your losses). Unless there are legal provisions or judicial decisions and with the consent of ALLPCB, your Email, user name and password may not be assigned, bestowed or inherited in any manner (except for property rights and interests in connection with the account). 4.1.1 You agree that ALLPCB may terminate your service password, account or terminate your use of Services for any reason at its own discretion (including but not limited to, ALLPCB believes that you have breached this Agreement or your conducts are in breach of this Agreement, both literally and substantially). You agree that, if ALLPCB terminates the Services in accordance with this Agreement, ALLPCB may immediately terminate your account or delete your account and all associated information and files, and/or prohibit your further access to such files or Services. Upon termination of the account, ALLPCB is not obliged to retain any information in or in connection with the account. In addition, you agree that ALLPCB will not assume any liability to you or any third party due to its termination of the Services provided to you. 4.1.2 You have the right to request ALLPCB to terminate your account, and subject to ALLPCB’s approval, your account will be terminated. In this circumstance, your contractual relationship with ALLPCB based on this Agreement will be terminated. Upon termination of the account, ALLPCB is not obliged to retain or disclose to you any information in the account. c) Your relationship with other users resulting from and during your use of the Services will not be terminated due to the termination of this Agreement. Such users will have the right to claim against you and you shall continue to perform your obligations as agreed. 5.1 Through the platform services provided by ALLPCB, you may publish information, make inquiries about information of products and services, participate in activities organized by ALLPCB and use other information and technical services provided by ALLPCB. 5.2 ALLPCB.com merely provides a platform for users to exchange information about products and services and obtain various services in relation to trading. Therefore, ALLPCB will not be involved in any legal relationship or legal disputes arising from transactions among its users and will not and shall not be involved in such transactions. ALLPCB suggests that you act carefully and use your common sense when using ALLPCB.com . 6.1.1 “User Content” means any content provided by you during registration, posting, transactions, other public forums, community or via email to ALLPCB or other users, including but not limited to data, text, software, music, audio, photo, images, videos, expressions or other materials. You are solely responsible for your User Content while ALLPCB is merely the passive channel via which you post and publish User Content. h. in ALLPCB’s opinion, is not prohibited or inappropriate to be advertised through ALLPCB. 6.1.3 You agree that you will not use any information for commercial purposes, including but not limited to copying any information displayed at ALLPCB.com and use the same for commercial purposes without the prior written approval of ALLPCB. 6.2.1 No intervention with the transaction system. You agree not to use any device, software or routine program to or attempt to intervene with the normal operation of ALLPCB.com or any transaction being carried out on ALLPCB.com . You shall not take any actions that would unreasonably or disproportionately overload ALLPCB’s network infrastructure. 6.2.2 Feedback on transactions. You shall not take any actions that may compromise the integrity of the feedback system. (i) ALLPCB will not be involved in any legal relationship and legal disputes arising out of transactions between users and it will not and shall not be involved in such transactions. You hereby release ALLPCB (and its agents and employees) of any and all liabilities for any claims, requests and damages (actual and consequential) of whatever type and nature arising from or in connection with any dispute with one or more users or any third-party service provider you sourced through ALLPCB.com. (ii)ALLPCB has the right to accept and mediate any dispute arising from a transaction between you and another user. In addition, it has the right to unilaterally decide at its sole discretion whether the complaint and/or claim made by other users against you are valid or not. Given that ALLPCB is not a judicial authority, you fully understand and acknowledge that ALLPCB has limited ability to identify evidence and handle disputes and that it only accepts and handles trade dispute upon your request, and does not guarantee that the dispute will be resolved to your satisfaction nor will it undertake any liability for such resolution. 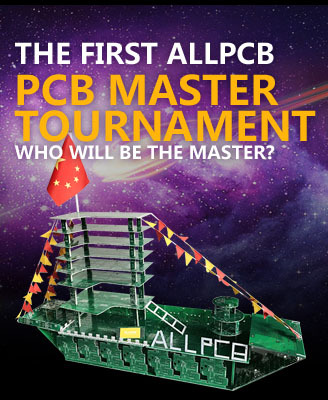 ALLPCB has the right to decide whether or not to participate in dispute settlement. (iii) ALLPCB has the right to gather information from you via email and notify the other party via email of the information gathered. You have the obligation to cooperate with ALLPCB, otherwise ALLPCB has the right to settle the dispute in a manner unfavorable to you. 6.3.1 If ALLPCB believes that any User Content may cause any legal or moral liability to ALLPCB or may cause ALLPCB to lose all or part of the services from its internet service provider or other suppliers, ALLPCB may take any action it deems necessary or appropriate to the User Content at its sole discretion, including but not limited to deleting such content. You hereby warrant that you have full rights, including complete copyright, in the User Content you submitted to ALLPCB. You acknowledge that ALLPCB has no responsibility to identify or determine which User Content submitted by you to ALLPCB shall be protected and ALLPCB will not be liable for the use of your User Content by other users of the Services. 6.3.2 You shall be solely liable for and hold ALLPCB harmless from any damage caused to any third party due to your potential breach of such warranties. 6.3.3 Without prejudice to any other remedies, ALLPCB may immediately issue you with a warning, temporarily or indefinitely suspend, terminate or cancel your membership, delete any of your existing product information and any other content displayed by you on the websites, if:(i) you breach this Agreement; (ii) ALLPCB cannot verify or authenticate any information provided by you to ALLPCB; or (iii) ALLPCB believes your behavior may cause any legal liability to you, ALLPCB’s users or any third-party service providers providing service through ALLPCB.com. Without prejudice to any other remedies, if you are found to have engaged in any fraudulent activity involving ALLPCB.com, ALLPCB may suspend or close your account. 6.3.4 If any actions taken by users have been confirmed by effective legal instrument or held by ALLPCB at its sole discretion as violating laws or breaching this Agreement, ALLPCB has the right to disclose such illegal activities at ALLPCB website and impose penalties (including but not limited to restriction of the users’ right and termination of Services). 7.1 Please note that once you voluntarily disclose User Content within transactions at ALLPCB, User Content may be accessed or used by other persons. 7.2 Your personal information is safely protected. We do not sell, trade, or otherwise transfer to outside parties your personally identifiable information. This does not include trusted third parties who assist us to serve you, so long as those parties agree to keep this information confidential. 8.1 You expressly understand and agree that ALLPCB shall not be liable for any damages, including but not limited to, liquidated damages for loss of profits, goodwill, use and data, or other intangible losses (whether ALLPCB has been advised of the possibility of such damages or not)arising from any of the following circumstances: (i) use or inability to use the Services; (ii) unauthorized access or modification of your information or data transmitted; (iii) any other matter relating to the Services however arising, including negligence. 8.2 ALLPCB will use its best efforts to ensure that you will enjoy your use of ALLPCB.com. However, ALLPCB cannot foresee all technical problems or other difficulties at all times. Such difficulties may cause data loss or other service interruptions. Therefore, you expressly understand and agree that you will individually assume the risks in using Services. ALLPCB does not warrant that: (i) the Services will satisfy your requirements; (ii) the Services will not be interrupted, will be timely, secure and free of any errors; (iii) the results obtained by using the Services will be accurate or reliable; or (iv) the quality of any products, services, data or other materials purchased or obtained by you through the Services will meet your expectation. Any material downloaded or otherwise obtained through use of the Service is done at your sole discretion, and you will be solely responsible for all associated risks. You shall be solely responsible for any damage to your computer system or any loss of data that results from the download of such materials. No advice or information, whether oral or written, obtained from ALLPCB or through or from the Services shall create any warranty not expressly stated in this Agreement. You agree that you must indemnify in full and hold ALLPCB and its subsidiaries, affiliates, branches, directors, employees and agents harmless from any loss arising from your breach of this Agreement or other documents incorporated by reference herein, or your violation of any law which infringes the lawful rights of any third party, or your violation of any law which results in administrative or criminal liability, thereby giving rise to any third party, administrative or judicial authority claim for damages or imposition of penalties (including judicial expenses and professional fees) against ALLPCB and its subsidiaries, affiliates, branches, directors, employees and agents. 10.1 You shall fill in accurately and keep up-to-date your contact information, including email address, telephone, contact address and post code so that you may be contacted by ALLPCB and other users. If you cannot be contacted through such contact information, thereby incurring any losses or additional costs to your use of the Services, such losses or costs shall be solely borne by you. You understand and agree that you are obliged to maintain the effectiveness of the contact information provided by you and in case of any modification or update thereof, you shall modify or update such information in accordance with the requirements of ALLPCB. 10.2 Unless otherwise explicitly provided for, any notice between you and ALLPCB shall be sent by email, or the email address provided by you during registration, or such other address designated by the party concerned. Any notice by email shall be deemed delivered 24 hours after the email is sent, unless the sender is informed that such email address is no longer valid. ALLPCB also may send the notice by prepaid registered mail with receipt requested to the address provided by you during registration, in which case the notice shall be deemed delivered three (3) days after posting. ALLPCB shall not be liable for any delay or failure of performance hereof as a result of events beyond the reasonable control of ALLPCB, including but not limited to acts of God, strikes or riots, shortages of materials or rationing, rebellion, war, governmental actions, failure of communication or other facilities, or serious casualties. These Terms and all use of our Site is governed by the laws of China and any questions arising shall be dealt with only by the Chinese courts.